i have been wanting to change mine since i bought my car, just out of interest is the cluster pretty much plug and play? i dont need to do anything after plugging in? 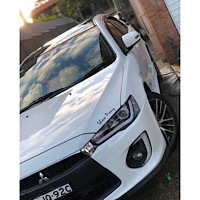 im just in the process of finding an auto electrician here in Adelaide that can reprogram for me and once i do im going to be seriously looking at buying one. Hardest part is taking the dash apart, but take your time and its not that hard. Lancer1993 wrote: Hardest part is taking the dash apart, but take your time and its not that hard. heads up though, line up the air vents when putting back together, the amount of times ive taken them apart at work in the summer because i bloody forgot to line the runners up!!! I'm looking to get a colour cluster and was hoping one of you might be able to help clear up something for me. It seems the Outlander and ASX clusters are also compatible, right...? 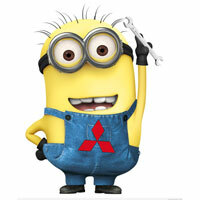 Also, does your transmission type have to match whether it's a Outlander, ASX or Lancer replacement? 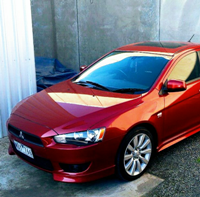 I've got my eye on a Lancer one (2014), but apparently it's off a manual. Mine's a CVT. Will that work...? It doesn't matter about the transmission. And yes the outlander and asx will fit and work. Wait so you can reclock the odometer by a professional, lawfully? ReeceCozaa wrote: Wait so you can reclock the odometer by a professional, lawfully? someone up north had it done, bumblebee put them onto someone who did it for a reasonable fee... I'll find it and edit this post with link. Thanks guys. That's quite helpful. I'll probably reprogram the EEPROM myself. I have the technology and I think in hex. benyamin wrote: It seems the Outlander and ASX clusters are also compatible, right...? Just make sure its not a diesel, the rev counter will be topping out at 4k or so. I found a guy to change the reading on mine, but I documented everything. It is scary to think you could buy any compatible cluster, switch it over, run up the kays then switch back to the old one with low kays on it and its next to impossible to police. I got the cluster out in about 15 minutes. And of course this is not limited to the CJ, any car of just about any age you could do this. Not sure with newer ones where the cluster is tired into the rest of the cars electronics so much more than even out CJs. I just adjusted the odometer for a mate and noticed the VIN programmed into the EERPOM. So if you're changing your cluster it might be an idea to change the VIN to match otherwise it might get throw up an error code later on or get picked up by a dealer.